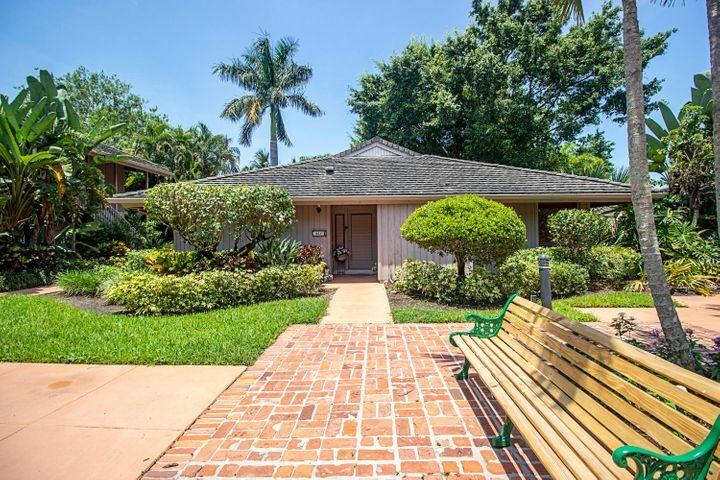 All PLANTATION COLONY OF BOCA homes currently listed for sale in Boca Raton as of 04/21/2019 are shown below. You can change the search criteria at any time by pressing the 'Change Search' button below. "The unit it is not the typical Plantation Colony unitIt is a rarely available-free standing fully renovated with marble floors through out including the guest bedroom and the wrap around patio. Patio has a garden view, two skylights in living room. Kitchen has been enlarged to include a pantry with all wood cabinets and granite counter tops, marble backsplash and brand new microwave and stove. Master bedroom has real wood floors. Master bath is a marble shower and frameless shower doors, wood vanity and dressing top with granite counter tops. Guest bath has a spa tub, wood cabinets and granite counter tops. Beautiful Plantation Shutters. Separate laundry area. Come view this beautiful home today!! **MANDATORY EQUITY MEMBERSHIP**"